Try these techniques to keep rodents out of your classic ride when it's in storage so you won't smell like mothballs when you're cruising. Mice, chipmunks, and other small woodland creatures love to nest in dark, protected places. What could be better for a mouse than a cherished classic automobile tucked away in a warm garage? When my husband began driving his classic car after its winter storage hiatus, I couldn’t help but notice the lingering fragrance of mothballs... on my husband. I, too, was sporting the not-so-enticing fragrance after my first ride of the spring. His effective yet stinky approach to winter rodent control had to go. But there are other methods to keep your furry neighbors — and the damage they do — out of your vintage vehicle. Can we all agree that fabric softener is much more pleasant smelling than moth balls? Placing sheets that are used in the dryer for fabric softening in the cab and trunk of the car can do the trick to keep critters out. And the driver will smell much sweeter after that first spring cruise. Little critters detest the smell of peppermint. 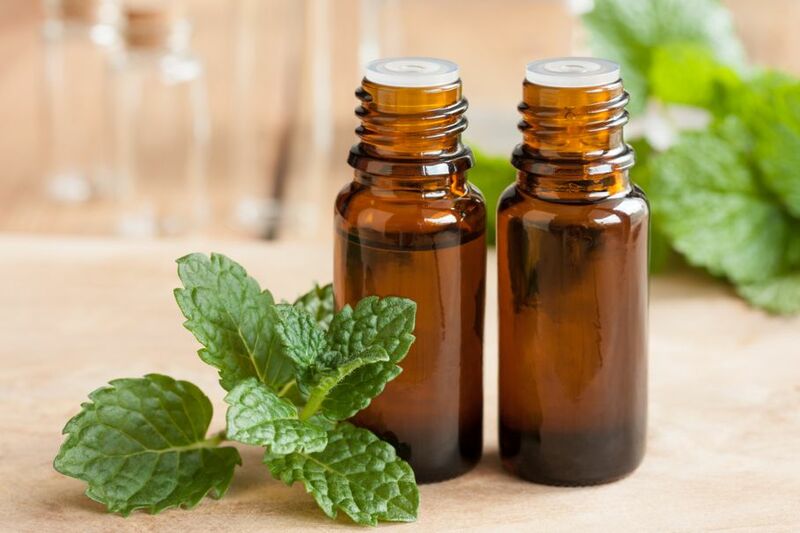 A small open bottle of peppermint oil can be placed in the cab and trunk, and will evaporate over a winter storage period. Also, cotton balls or swabs can be dipped in the oil and placed throughout the vehicle. This may seem counterintuitive to neat freaks that like keeping their car interior free from things like pet hair. 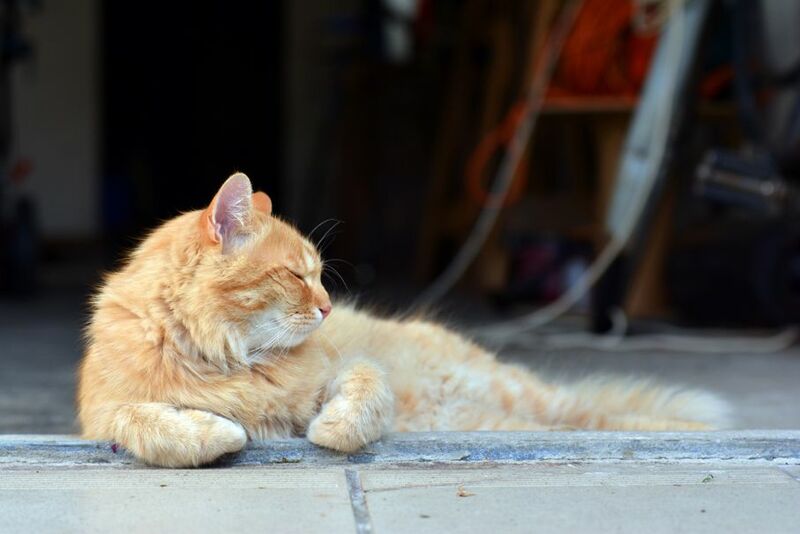 But the truth is that human or pet hair has been shown to repel rodents. Leaving clippings in several spots in the car will turn them away. These traces fool the invaders into thinking you or your dog are near. If possible, place your cat’s litter box in the garage. Regular kitty traffic will most definitely convince your rodent neighbors to look elsewhere. 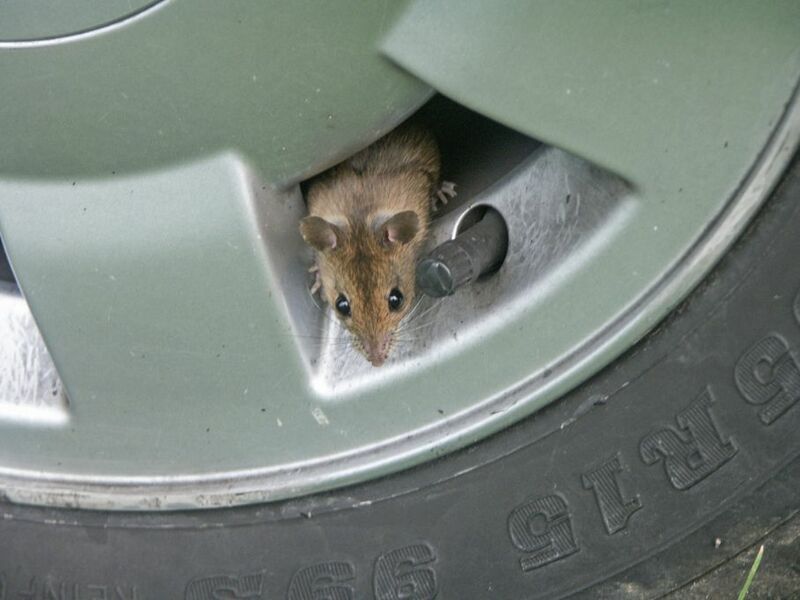 Our little buddies have no problem navigating a tailpipe, and have been known to use them for food storage. There are a few methods for blocking a tailpipe during storage. A rubber ball or a ball of steel wool inserted in the end of the tailpipe will work. Some have also had success with inserting a rag and securing it with a piece of screen over the end of the tailpipe. WARNING: Make absolutely sure to remove any blockage you have inserted into your vehicle's tailpipe before you start it back up! We all know that sometimes less is more. Applying this philosophy here means not placing a cover over the car while it’s in storage. The theory is that the darker it is inside the vehicle, the more attractive your car will be to mice and other little animals. Some even suggest leaving the hood up and the trunk open. 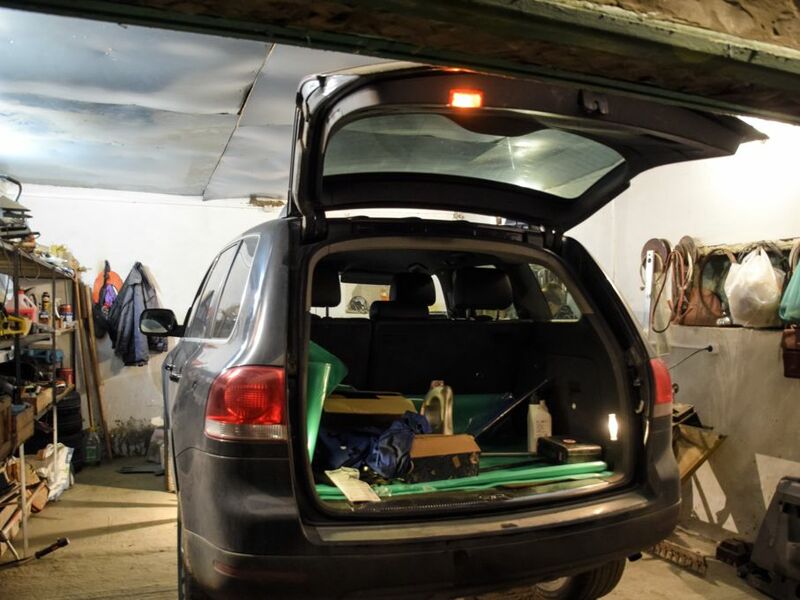 Be careful to avoid leaving cardboard boxes or paper bags in or near your stored vehicle. 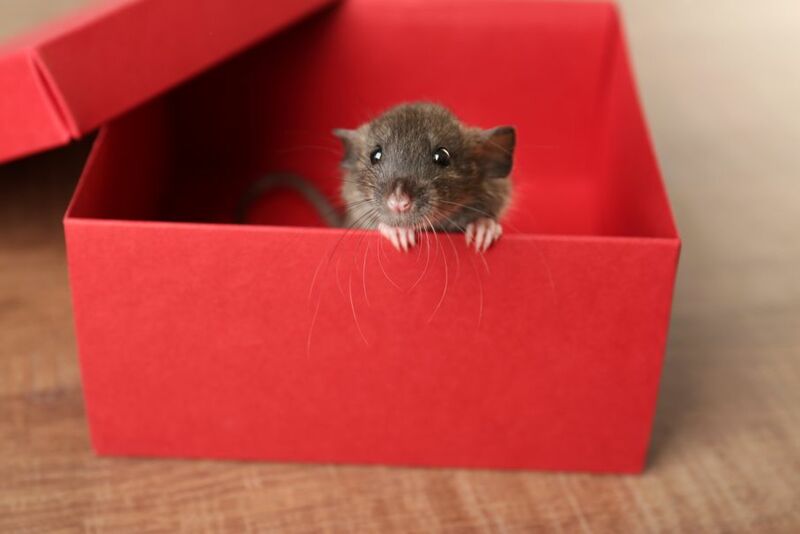 Rodents sometimes like to eat the glue used to make boxes, and they also love to chew and shred paper and cardboard to make nesting material. If you are storing your car outdoors, be sure to keep it away from bushes, tall grass, or other places where animals frequent. Parking the vehicle on gravel or cement will also decrease the chances of an animal infestation. If you just can’t let go of the mothball method, try placing them in containers around and under the car instead of inside the car. This will diminish the chance of the scent still hanging around come springtime. Check your insurance policy to be sure your comprehensive coverage includes animal damage. These little dudes can do a great deal of damage in a small amount of time. And if you should find you need to clean up after some winter guests, protect yourself. Cute and furry as they might be, they can carry disease. 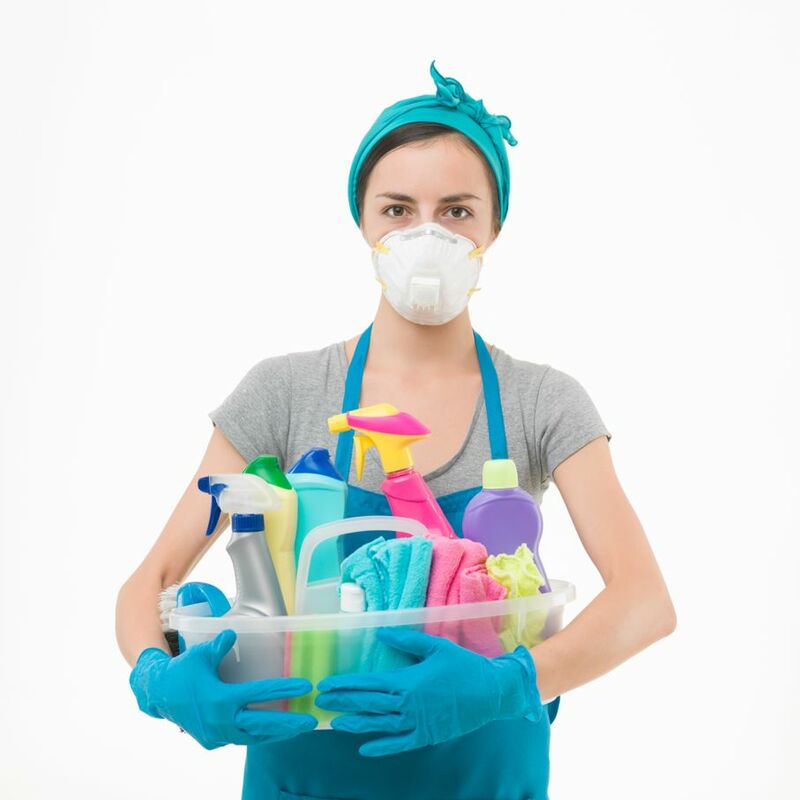 Use gloves to protect your hands and a mask to avoid inhaling any materials left behind. None of these methods are foolproof, it’s worth trying these other ways to fight back that won’t make you smell like your grandmother’s closet.